Built for the (90-96) Nissan 300ZX. This intake has dual stainless steel funnels to direct intake air smoothly into the throttle body. Apex engineers noticed in tests that when the vehicle sucked in air from the side, an area of wind turbulence occurs in the middle of the filter. 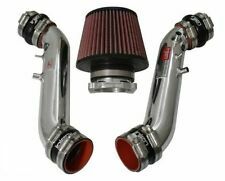 AMS 2.5" Twin Turbo Intake Inlet Pipe Kit for 90-96 Nissan Z32 300ZX BRAND NEW! 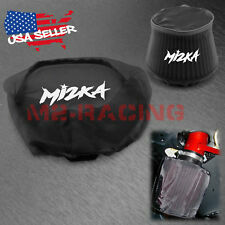 Designed to fit any Z32 that has OEM mounted (design) turbos. 2.5" Inlet pipe kit is designed for larger turbos. Introducing the 2.5" inlet kit for those seeking maximum power while saving significant money from the competitor units! Phoenix, AZ. Dejavue Auto Werks. Each system is built from 6061, T-6 aluminum alloy to ensure the lightest design possible. Public Forums. Need to make a change?. Disclosure of Information Policy. Your credit card information is encrypted while traveling the Internet. 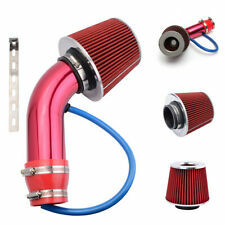 The IS Series intake system is a traditional, under hood intake system. Each system is built from 6061, T-6 aluminum alloy to ensure the lightest design possible. This kit includes the piping only. This item pulled out from 1984 Nissan Datsun 300zx. 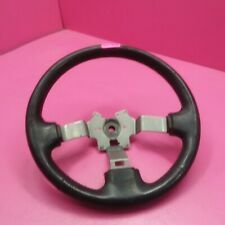 This item is compatible with 1984-1988 Nissan Datsun 300zx Models. Used parts may show sign of wear, including marks and/or scratches. DONOR VEHICLE :1990 NISSAN 300ZX (2 2) NON-TURBO. AIR HOSE RIGHT SIDE. QUALITY: OEM. Our warranty is forPARTS ONLY.